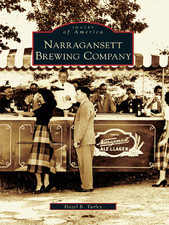 Images of America: Narragansett Brewing Company by Hazel B. Turley is now available for download on your iPhone, iPad, or iPod touch with iBooks and on your computer with iTunes. Books must be read on an iOS device. Click here to purchase it on Apple.com for just $12.99. 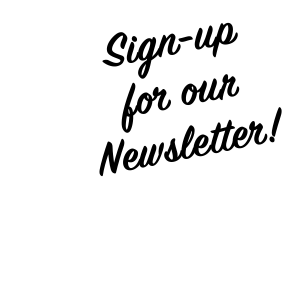 Love vintage Narragansett beer memorabilia and looking for more? This book has hundreds of great photos and takes you through the epic 120 year history of Narragansett beer. Some we’ve posted here and some have never been seen for years until now. A great piece to thumb through on rainy days. 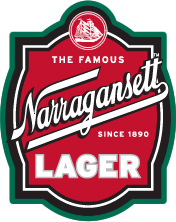 Narragansett Brewing Company was developed in 1890 by German American descendants in Cranston. Taking advantage of an underground aquifer, the company also made ice for thousands of customers. During Prohibition, the brewery continued to make and deliver ice, as well as a type of soda. After the repeal of Prohibition, the Haffenreffer family purchased the brewery and began recalling previous workers to help restore the brewery and bring it to the highest production rate ever. After World War II,advertising manager Jack Haley shifted the company focus to hospitality with the now famous slogan, “Hi Neighbor, Have a ‘Gansett!” Before long, Narragansett was the number one beer in New England. Through vintage photographs, Narragansett Brewing Company chronicles the fascinating history, tragic fall, and exciting rebirth of this local icon. Click here to learn more about the Images Of America series from Arcadia Publishing.